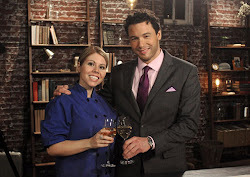 NYC Cooks: Jen DePalma Talks Seafood- To Eat & Not to Eat that is the question? Jen DePalma Talks Seafood- To Eat & Not to Eat that is the question? It's Fish Fridays here at NYC Cooks and before I continue posting more of my favorite fish recipes- how about we first take a crash course in seafood. It's really important to be an aware consumer considering all the harmful chemicals entering our food systems. Know where you fish is coming from is it wild or farm raised? When possible choose wild fish every time. Then there are certain fish we want to avoid not only because they may be high in toxins such as mercury but because from an ethical standpoint they are not a wise choice. You have a moral standpoint to avoid certain species and then there's the physically harmful standpoint to avoid other species. I, Jen DePalma greatly respect the ingredients I work with and understand that if we would like to continue enjoying these wonderful foods it's very important we respect the environment as well. As a chef I need to bring the home cooks recipes for your favorite restaurant dishes which will include Chilean sea bass, Red snapper and Bluefin tuna (we'll get to why they should be avoided in a minute). For sustainably reasons let's save them for a special occasion.